Manhattan's East Side is facing some open-space problems. In the past, Manhattan's East Side had an edge over the West Side when it comes to open spaces, parks, and greenery. But a new report, reports the Wall Street Journal, proves the tides are changing, and that the East Side is facing some open-space problems. Two-thirds of residents don't live within walking distance of a large park and the existing spaces are "overburdened and disconnected," claims the report. The city is now making a bigger effort to make more open space--for example, by transforming the area's waterfront into a continuous string. The reason for the lack of space is due to the fact that the East Side is largely built up, barring an undeveloped industrial relic like the High Line or the Hudson River's piers. 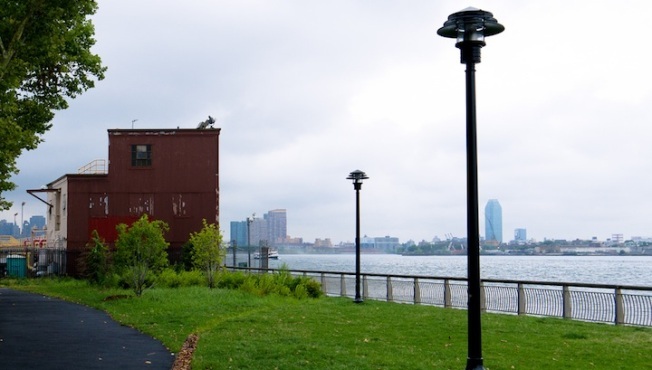 The East Side waterfront is narrow, set between the FDR Drive and a river. In one district in the Upper East Side, east of Third Avenue, there is less than half an acre of open space per 1,000 residents, compared to the 2.5 acres that the city uses as a guideline in its environmental review process. And the parks that do exist are becoming more crowded, and much of the waterfront is poorly maintained. The stretch from the Brooklyn Bridge to East 38th street is largely accessible, now. But the stretch from East 38th to East 60th is more difficult, and the only way to have continuous open space is to build over the water.